The Yellowstone super-volcano nearly wiped out the human race. Now, almost a year after the eruption, the survivors seem determined to finish the job. Communities wage war on each other, gangs of cannibals roam the countryside, and what little government survived the eruption has collapsed completely. The ham radio has gone silent. Sickness, cold, and starvation are the survivors' constant companions. When it becomes apparent that their home is no longer safe and adults are not facing the stark realities, Alex and Darla must create a community that can survive the ongoing disaster, an almost impossible task requiring even more guts and more smarts than ever -- and unthinkable sacrifice. If they fail . . . they, their loved ones, and the few remaining survivors will perish. 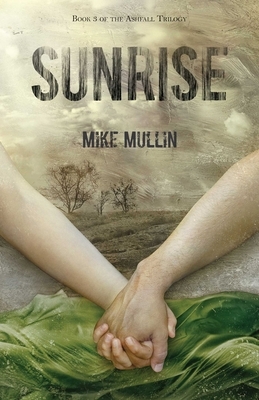 Mike Mullin first discovered he could make money writing in sixth grade. His teacher, Mrs. Brannon, occasionally paid students for using unusual words. Mullin's first sale as a writer earned ten cents for one word: tenacious. Since then, Mullin has always been involved with literature. One of his early jobs was shelving books at the central library in Indianapolis. Later, he paid his way through graduate school in part by serving as a reference assistant. He has worked in his mother's business, Kids Ink Children's Bookstore, for more than 20 years, serving at various times as a store manager, buyer, school and library salesperson, and marketing consultant. Mullin wrote his first novel in elementary school -- Captain Poopy's Sewer Adventures. He's been writing more or less nonstop ever since, but fortunately for his readers, Ashfall was his first published novel. He lives in Indianapolis with his wife and her three cats. Visit mikemullinauthor.com for more info.